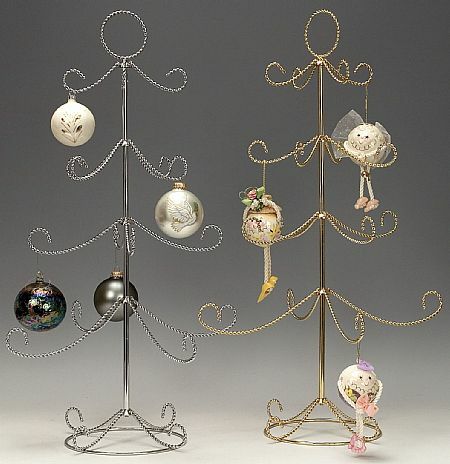 This beautiful set of four 24"High 4 tiered silver tone ornament display tree has 5" spacing between levels. Tree is 15" at its widest and base measures 10" wide. Holds up to 16 ornaments. Knife Display Case - 6" x 12"